"A man went looking for America and couldnâ€™t find it anywhere..."
This classic film stars Peter Fonda and Dennis Hopper as two disillusioned hippie-type individuals who embark upon a long distance motorcycle trip. Along the way they encounter an array of memorable characters and become involved in several precarious situations. Easy Rider was a groundbreaking film that expored counterculture issues while using a great rock music soundtrack and expansive camera work. The tumultuous social climate of the late 1960s is exemplified well in this film. In this film Mr. Fonda is cast as Wyatt and Mr. Hopper plays Billy. These two characters initially make a wad of money by selling some drugs. Then they set out to attend Mardi Gras in New Orleans. Leaving from California Wyatt and Billy each ride Harley-Davidson chopper motorcycles on their trek to Mardi Gras. Wyatt's chopper is painted with a stars and stripes paint job. On the way they are jailed on minor charges and they meet up with a lawyer played by Nicholson who ends up riding along as a passenger for a while. Along the way to Mardi Gras the trio stop to meet an assortment of characters but they also experience brutality and tragedy. Much of Easy Rider is shot outdoors and the cinematography is top notch with wide sweeping shots of the motorcyclists traversing America. In this movie issues such as drug abuse, alcoholism, prostitution and violence were examined and seen from a different perspective than that often found in mainstream motion pictures. Some of the other actors and actresses who star in "Easy Rider" are Phil Spector, Carrie Snodgress, Dan Haggerty,Karen Black and Michael Pataki. 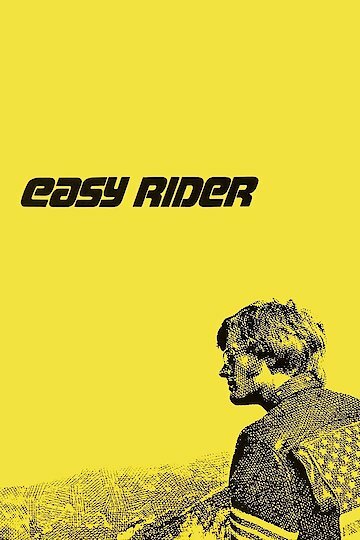 Easy Rider is almost as well-known for its soundtrack as it is for the film itself. Among the artists who perform on the soundtrack are Steppenwolf, the Electric Prunes, the Jimi Hendrix Experience, Roger McGuinn, the Byrds and the Holy Modal Rounders.